Having concepts require the ability to use linguistic terms correctly. he would have been, I think, incorrect. Prima facie, how can the monkey know without thinking? This writer includes reasoning, believing, reflecting, calculating and deliberating as examples of thought. I think monkeys do all these things. (At first I hesitated with the word “calculating”; though only because I over-sophisticated the term by thinking in terms of abstract mathematical calculations.) However, since the main topic is concepts, I can’t go into these broader areas of thought. An interesting question remains however. 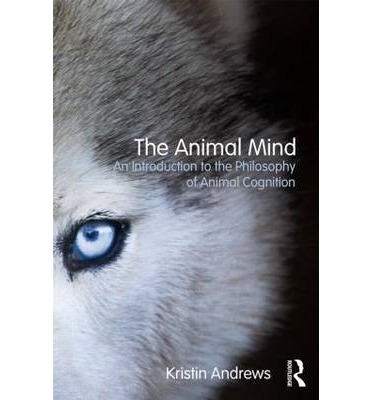 Is it animals’ lack of concepts that exclude them from all these cognitive states? Or is it that animals have no concepts because they can’t think? All the above depends on which animal we're talking about and what Davies means by the word “concept”. Indeed it's hard to fuse “experience” and “non-conceptual content” together in the first place; and not just from a quasi-Kantian position on experience and concepts. If Davies is talking about floor lice, what he says may well be correct. If he’s talking about dogs, monkeys, etc., then I’m not so certain (the intermediary animal cases are, as ever, vague). Is the fact that animals don’t use a language (or a human language) causing the bias against animal-concept use? Davies doesn’t say. If one takes a Fodorean “language-infested” view of “mentation”, then one would probably agree with Davies. If one were a non-computationalist (or non-Fodorean), one may question the linguistic bias of Davies’s position (e.g. as Paul Churchland does). Not only do we have a dualism of “sensations” (the “contents of experience”) and “judgement” (which is “caused by the experience”), we also have the specifically intellectualist - and probably linguistic - term “judgement”. Peacocke, judging by what he wrote earlier in this paper, means applying “a proposition or set of propositions” to the experience by “judgement”. Perhaps if everything weren’t so language-infested, Peacocke would have more of a case. If “representational content” is “given by a proposition”, then perhaps the same is true of concepts . The reasoning behind Peacocke and Davies’s position may be that if animals (or certain animals) are always non-conceptual creatures, then we too, on a Darwinian perspective, might have – or did - start off as non-conceptual creatures. That is, pure phenomenal consciousness is common to both humans and animals. However, as adults and humans, phenomenal consciousness and sensations are later conceptualised. There is a dualism (another one) here between phenomenal consciousness and conceptual consciousness. Though if Davies is being Darwinian in accepting that we share phenomenal consciousness with animals, why can’t he be equally Darwinian by accepting that – some – animals share concepts with humans? Why should concepts be sentence-shaped? This is dualism in a pure form. Passage a) is very Davidsonian. Judgements/beliefs and perception are as one. Passage b), on the other hand, gives us “uninterpreted” content, separate (we may say) from “all schemes and science”. Of course I wouldn’t necessarily use the word “science” or even “schemes”; but I would say: Separate from all concepts. The mistake Block makes appears to be so obvious that I read his passage over again to see what was going on. The mistake is simply this. The animal in question “doesn’t possess the concept of a donut or a torus”. We can accept that. However, the animal may “represent space as being filled in a donut-like way”. Again, that's acceptable. So, yes, this animal won’t have our concept [donut] or our concept [torus]. However, it may have its own concept [C] of the donut and likewise its own concept [C] of the torus. This is why Block allows the animal representations. That is, it “represents space as being filled in a donut-like way without any concepts”. This experience has “representational content without intentional content”. Apparently, it has representations because its experience is of something “donut-like”. But it isn’t intentional or conceptual because it doesn’t have our concept [donut]. Though it may, as I said, have its own. This appears to be obviously wrong. It displays a linguistic bias and basis for all concepts. And therefore excludes, by definition, all animals from having conceptual content of the said experience. Though, logically, it would mean that a fellow human being without the concept [donut] would only have a representation of the donut, not an intentional representation of it. Even someone who has the concept [donut] must have experienced the donut under other concepts before he applied the concept [donut]. Not just the basic Kantian concept [object] or [thing]. These are true atomic concepts which are the building blocks of later concepts. However, before the object we call a “donut” fell under the concept [donut], and after it fell under the concept [object] or [thing], other concepts would have been applied or belonged to the donut. For example, [white thing], [round thing], [small round thing], etc. Even the animal, without the concept [white thing] etc. would possibly have its own alternative non-linguistic or non-human alternatives. I also have a problem with Block’s use of the term “representation”. You can only represent something as something. Or it's a representation of something. Therefore one needs concepts (not necessarily linguistic ones) of something and concepts of a thing as something. The problem here may be accounted for by what Block says himself (again in note 4). He says that “phenomenal-consciousness isn't an intentional property”. I agree. He also says that “P-conscious content cannot be reduced to or identified with intentional content”. Again, I agree. He also qualifies these distinctions by saying that “intentional differences can make a P-conscious difference”. He also says that “P-consciousness is often representational”. However, he's still hinting at something that I don’t accept. That PC can exist without intentional or representational (that is, conceptual) content. The distinctions he makes are possibly real and worthwhile. However, PC is like a finger which can’t exist without a hand. And the hand, in this case, is conceptual content (concepts). Of course a finger is distinct from a hand; though, as yet, I haven’t seen a functioning finger without a hand.